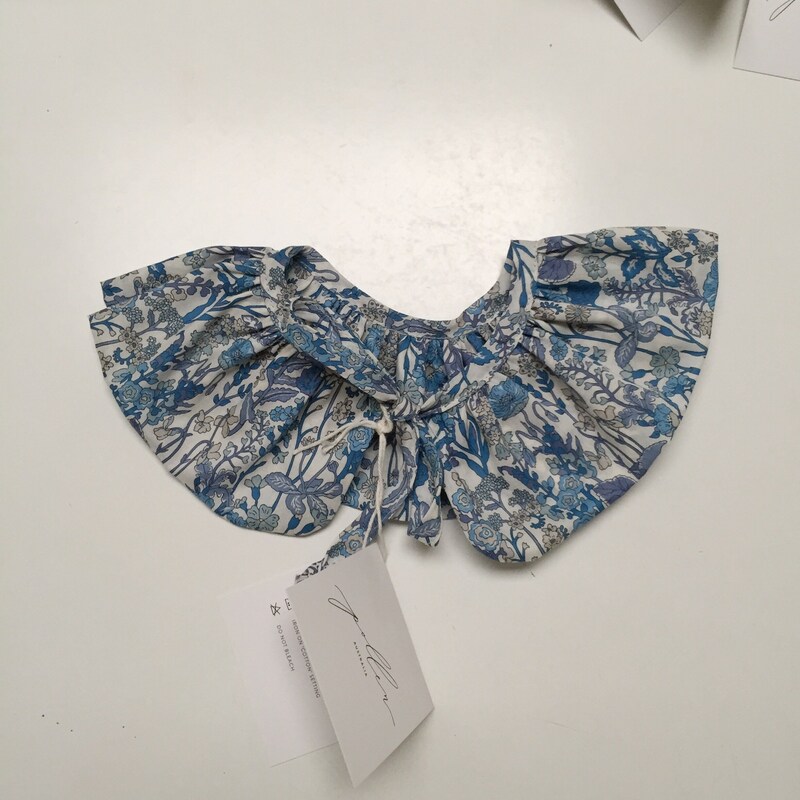 This RUFFLE COLLAR has been constructed with Liberty Fabric in FLOWERS A (blue) print. The collar can be added to numerous outfits adding an element of whimsy and splash of rich goodness. Finished with a Liberty fabric tie, the collar can be worn with the tie at the front or back of the neck. Available in sizes CHILDREN (OSFM-one size fits most) and Women's. 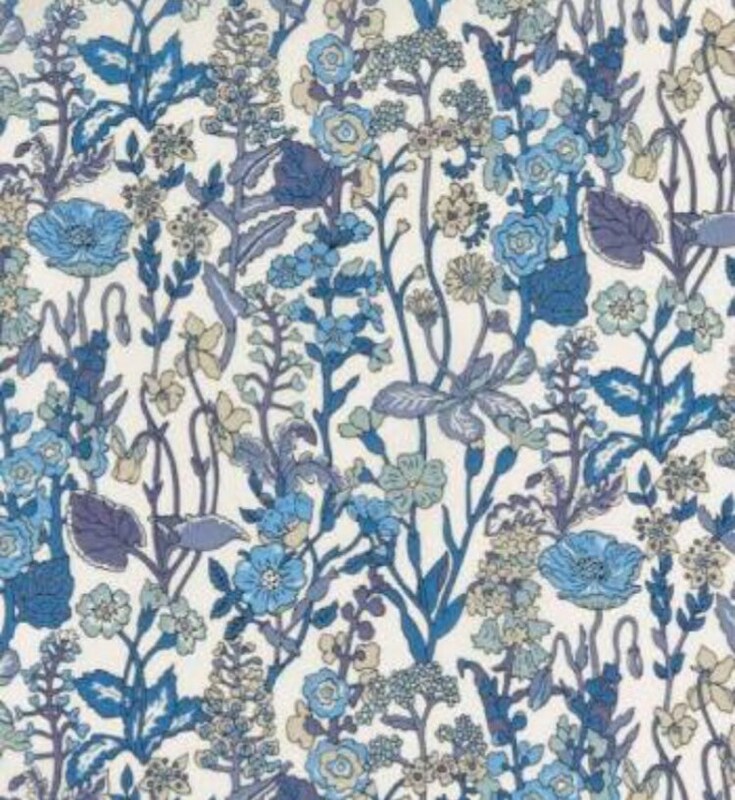 This listing is for one (1) Ruffle Collar in Liberty print FLOWERS A.
Liberty Fabric tana lawn is iconic British designed fabric renown for its quality and historic floral prints. Made without the use of crease-resistant chemicals or irritating allergens, tana lawn is truly unique and takes its name from Lake Tana in East Africa, where the original cotton grew. Made from specially selected, ultra fine, long staple cotton, the result is a famous combination of fabric technology - fine, cool, durable and comfortable, with brilliant colours and detail.